Talent Management is using Smore newsletters to spread the word online. A lot has happened in the LC since November - we have organized 3 LCMs, OGX team had an outstanding attracking proces, iGIP team is in full process of compleating their goal and iGCDP has successfuly matched EPs, some of them are alreday in Slovenia. Now we are starting the recruitment process again. With new members comming to our teams, also our old teams and positions will be changing. So with that being said you will also have the opportunity to say, if you want to stay and still be part of "micro experience" or would you like to take an active part in a team. If you are interested in any of the positions in OC team, please check AIESEC Lj facebook group or send me an email at talent@lj.aiesec.si. Don't miss the opportunity to add a new milestone to your AIESEC Experience. ENHANCE YOUR SPIRIT DAY! 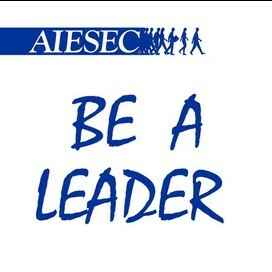 - it's your AIESEC experience that counts. We are also orgnizing - ENHANCE YOUR SPIRIT DAY! Enhance your spirit day, is AIESEC LC day, designed to connect all LC members, to build relationships and team spirit; as well to prepare everyone for busy months ahead. The Enhance Your Spirit Day is an activity created by LC with the idea to promote friendship and bonding between ALL members. We want our members to get to know more about the organization itself but most important we wanted them to know how we all got here and share our experiences; and build our motivation for busy months to come. This event gives us the opportunity to get to know each other better and learn to work together. It's your experience that counts! BTW: YOU REALLY DON'T HAVE A REASON NOT TO APPLY! We are organizing another LCM, which will be completely dedicated to our EPs. Come and learn more about this terms EPs, their countries and their AIESEC experience in Slovenia. We are organizing first lesson of our Portuguese workshop with Raphael and Natalia. Come and learn some portuguese phrases and learn basics of a new languege from native speakers and learn in a little bit different way and environment. Why? - Because it's always good to know, how to charm people, possible love interest(s) or a new friend - in an amazing language.